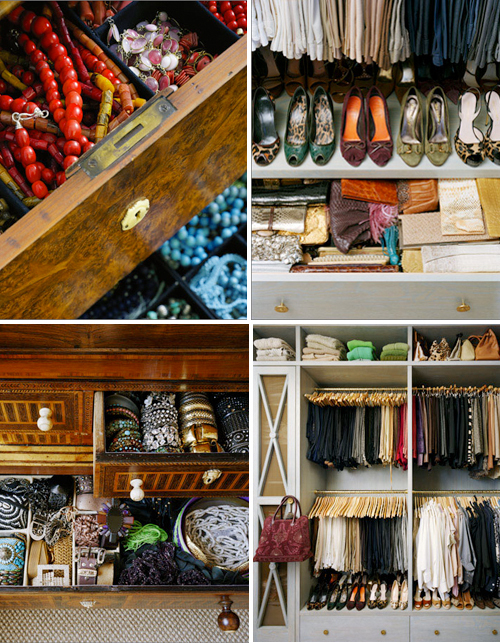 I love an organised closet and I find these images (by Annie Schlechter) highly inspiring! oh my, this is like organizational heaven. I’m always looking for storage inspiration. This is perfect! Thanks for sharing. Even to a stylist this closet is heaven on earth! From the organization to the shoes to the closet wood details…love it. What a closet! This would be my dream come true. I was just thinking that a good quality closet system is at the very top of my wish list. To me, it’s worth the cost because you use your closet and look at it every single day. Plus, I hate putting away my laundry because my cramped closet stresses me out! This makes me wonder if women buy clothes based on how they’ll look in their closet. My wardrobe is so varied I couldn’t begin to try to make it look like any of these!